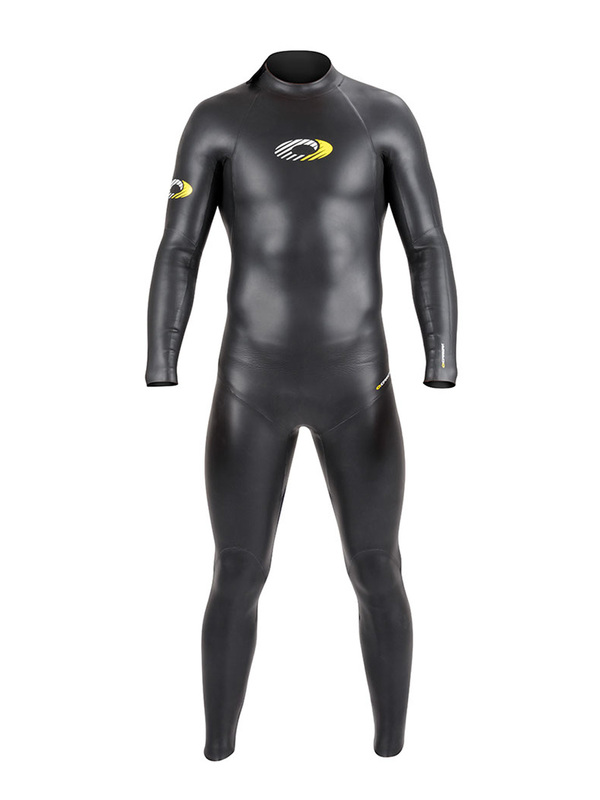 This Osprey mens Triathlon suit is designed for optimum warmth without comprising flexibility and offers the technical specifications of similar suits but without the price tag - making it ideal for people just starting out at triathlons and opening water swimming. It features smoothskin super stretch main body panels for flexibility and freedom of movement and improved hydrodynamic action whilst swimming. 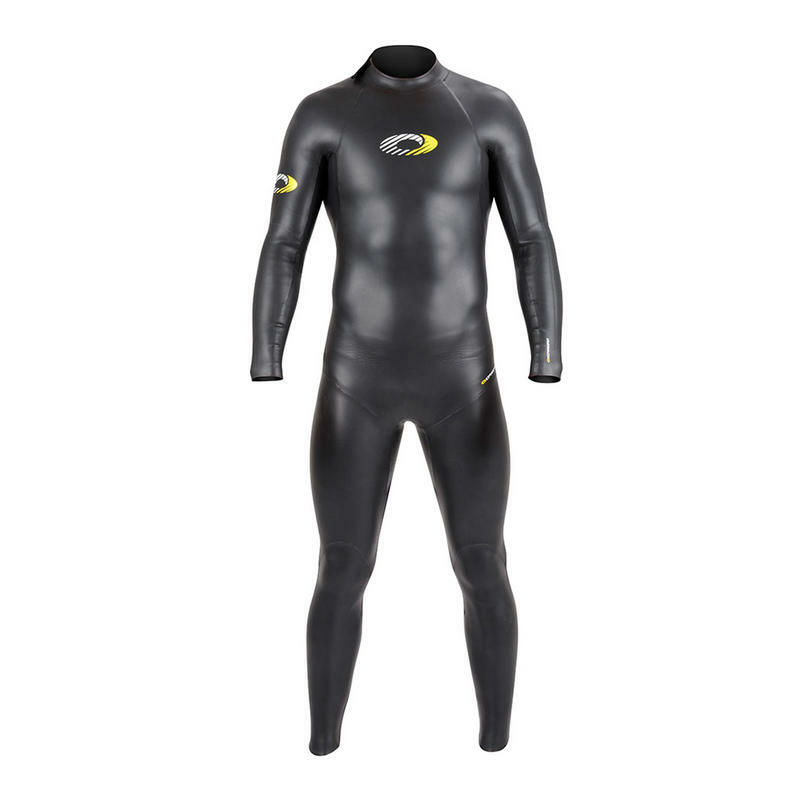 Features 5mm neoprene around the core and thighs for maximum warmth and flotation. 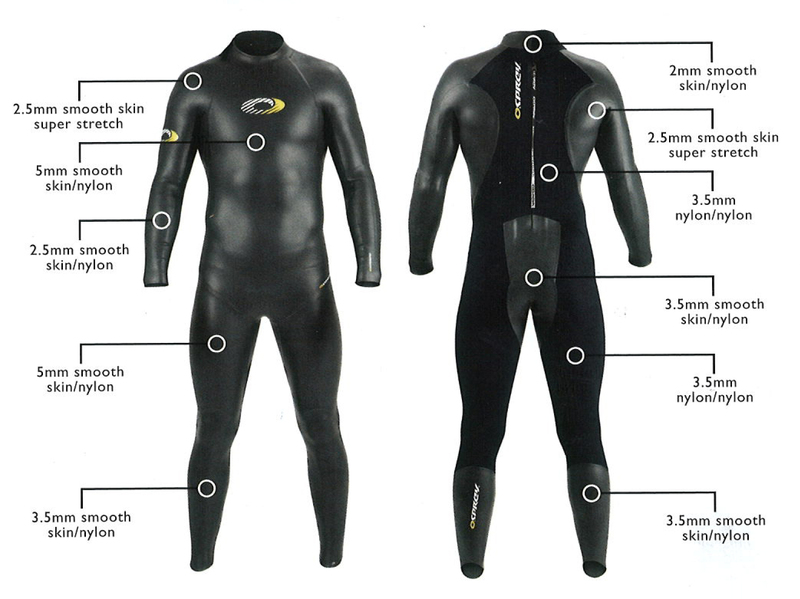 The suit has thinner 2.5mm neoprere on the shoulder zones and 3.5mm neoprene on the lower leg to allow for the flexibility required in these areas. 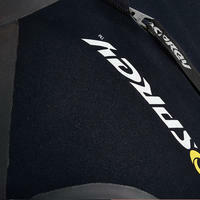 Varying levels of material thickness to aid floatation and flexibility where it's needed most. This brand new triathlon wetsuit from Osprey is the perfect accompaniment for training and competing in open water swimming events, such as triathlons. 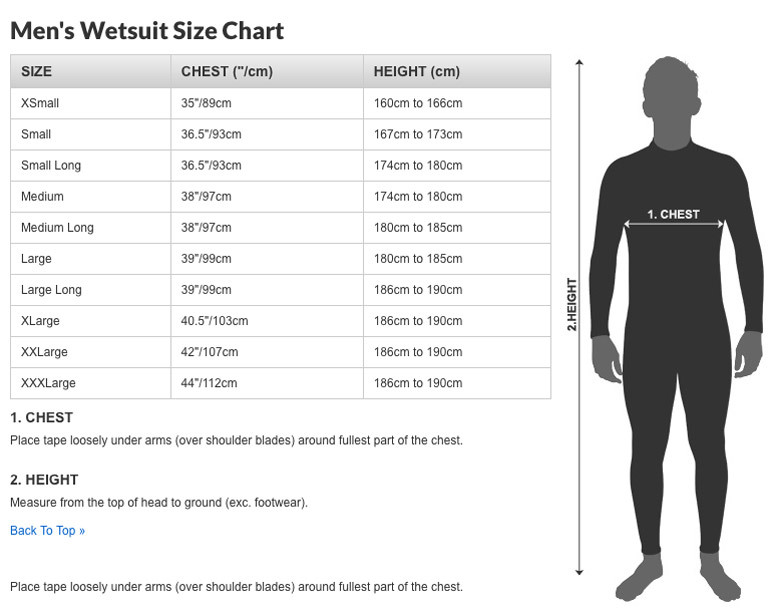 This suit offers the technical specifications of similar suits but without the price tag - making it ideal for people just starting out at triathlons and opening water swimming. Please be aware that these suits are made of soft, glide skin neoprene and therefore can pierce quite easily with a fingernail. Please take care when trying them on as refunds can only be given if returned in "as new" condition.